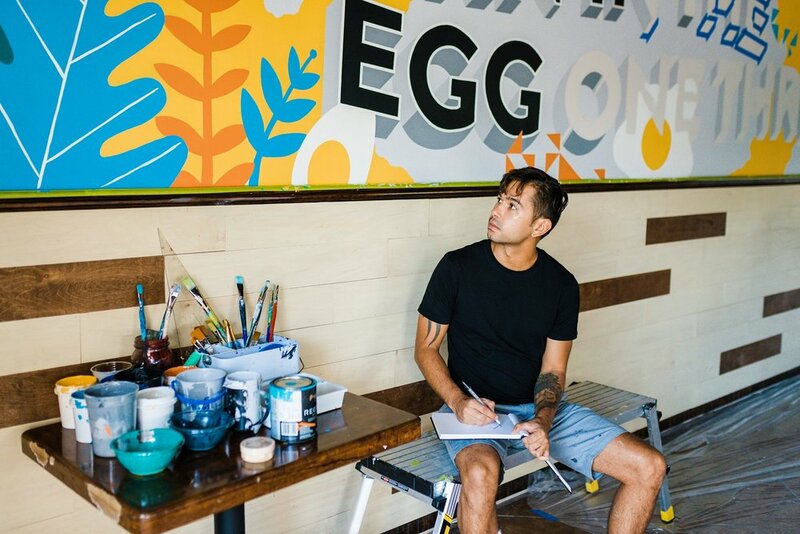 The Nest neighborhood kitchen brings a game changing breakfast experience to South Tampa, by providing the freshest ingredients made available & the newest trends in hospitality convenience. An experience that pleasantly disrupts everything the consumer has come to know about convenience and breakfast. The brain child of Mike Vitilli, Perry Dube, Brendan Crampton, & George Tsambis. What started with The Blind Goat Food & Drink Co. evolved into building community landmarks for the Tampa Bay area. Tampa native & culinary breakfast champion Mike Vitelli joined the team in 2017. By combining his passion for hospitality, quality ingredients and love for the city of Tampa. Mike Vitelli will show the neighborhood of South Tampa a new meaning to quality food made to order. 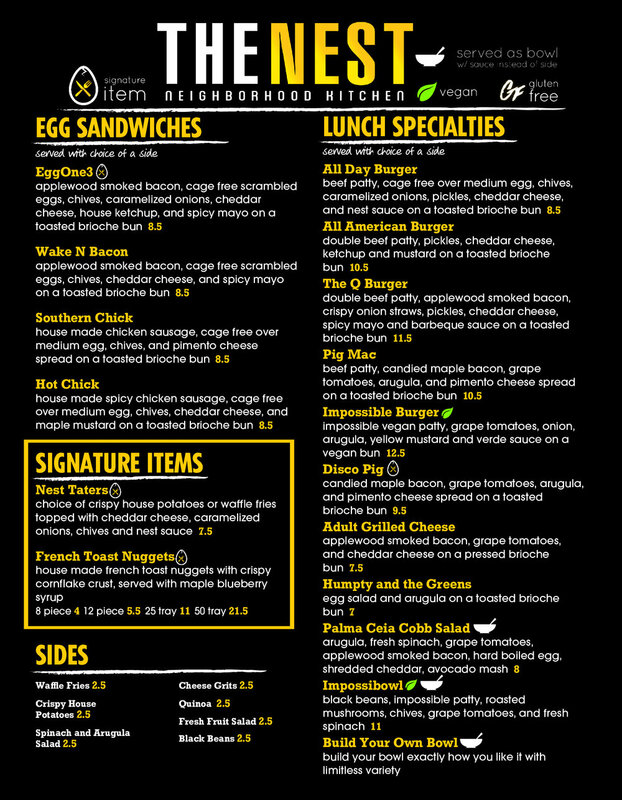 The Nest Neighborhood Kitchen is striving to tie in the latest technology trends such as tablet ordering and quick service food made fresh to order & from scratch everyday. Our kitchen is our stage, out in the open for everyone to see, developing part of the experience of watching meals being prepared. 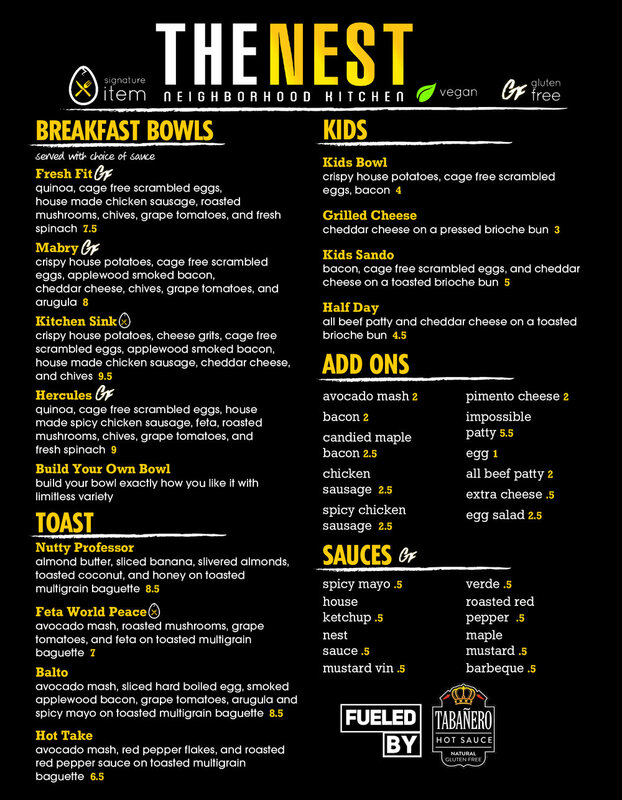 At The Nest Neighborhood Kitchen, our mission is to improve every customer’s morning by providing a fresh, delicious, and seamless experience that is unmatched in both quality and convenience. Rise & Shine. Join the eggvolution. Give us a shout and we'll contact you about any general inquiries, services, or products you have any questions about. Fill out the form below & learn more about The Nest and any exciting news that we have coming your way. Interested in joining The Nests team? Apply now and join us on the quest to feed Tampa Bay one sandwich at a time. Thank you! Please feel free to email your resume to “Mike@thenestnk.com”. Thank you for your time! 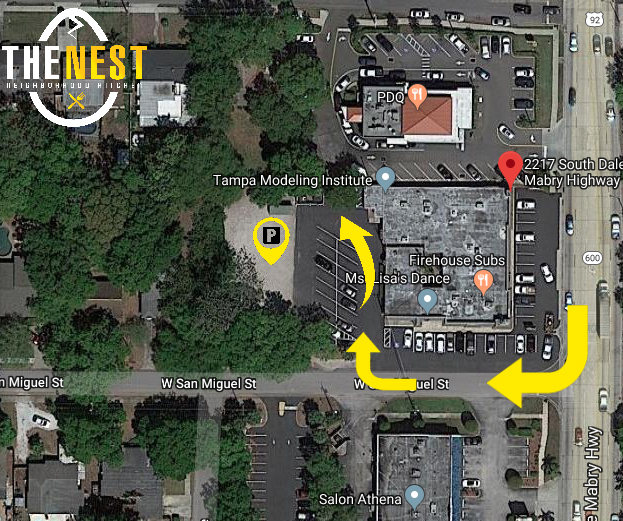 The Nest has limited parking in the front entrance of the plaza, but plenty of parking in the back & side. Feel free to park in the back of the building and use our back entrance.